Microsoft Surface Go, the Smaller Surface Pro Announced with $399 Pricing - Playfuldroid! 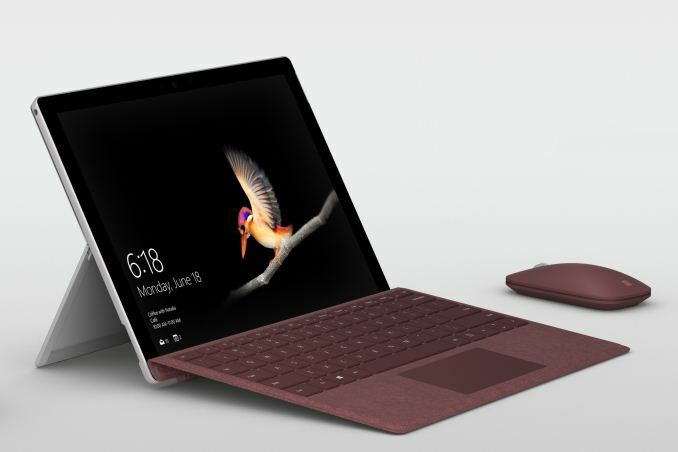 The Surface Go 2-in-1 laptop-tablet was announced earlier today by Microsoft as a smaller version of Surface Pro. The Surface Go bears the same appearance as the Pro model and it also features an integrated kickstand. It has arrived with a starting price of $399. The Microsoft Surface Go features a 10-inch PixelSense display that supports 3:2 aspect ratio and 1800 x 12800 pixels resolution. It is the slimmest ever Surface tablet from the company. It is fueled by Intel Pentium Gold 4415Y processor. The tablet includes a battery that offers up to 9 hours of battery life. The Surface Go is loaded with Windows 10 S.
The Surface Go features a rear camera of 8-megapixel. The front camera of 5-megapixel supports facial identification through Windows Hello feature. The other features available on the Surface Go are USB-C, Surface Connect, microSD card slot, Bluetooth 5.0 and 3.5mm audio jack. The 4 GB RAM variant of the Surface Go features 64 GB of eMMC. It has a price tag of $399. The higher model has 8 GB of RAM and 128 GB of SSD. This model is priced at $549. 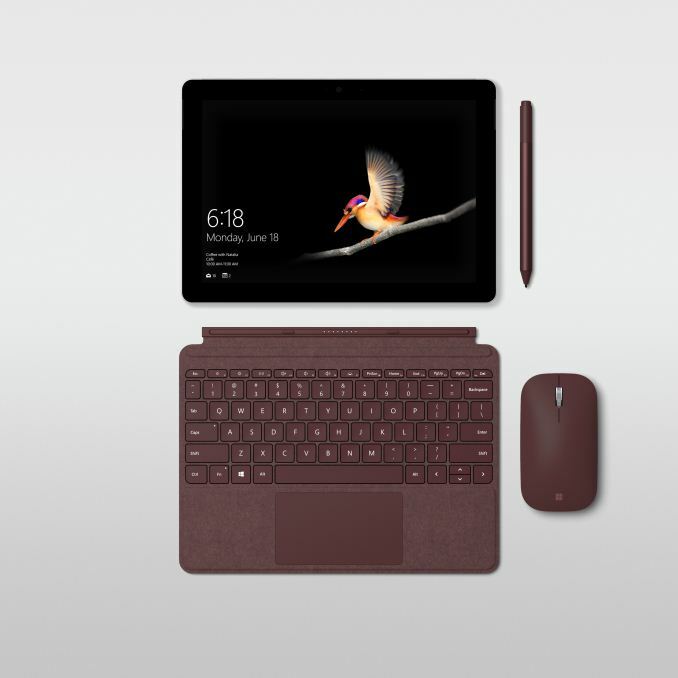 The Surface Go can be bought in colors like Burgundy, Cobalt Blue and Platinum. These variants only support Wi-Fi connectivity. An LTE Advanced model is expected to debut later this year. The device is now available on pre-orders in regions like Australia, Austria, Belgium, Canada, Denmark, Finland, France, Germany, Ireland, Italy, Luxembourg, New Zealand, Norway, Poland, Portugal, Spain, Sweden, Switzerland, U.K and U.S. The shipments of pre-order Surface Go units will begin in August.